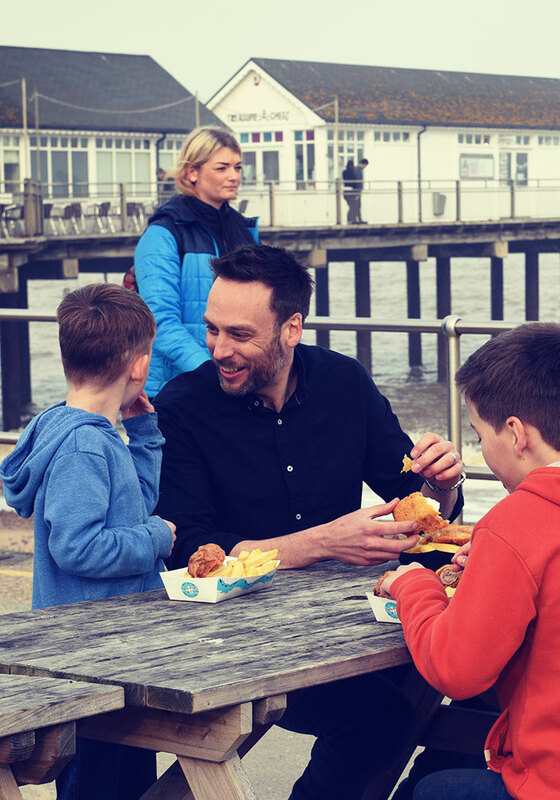 Did you know … that in a recent survey of residents and visitors to Suffolk, their number one choice for the perfect experience was (pause for drumroll) fish and chips on the beach! Little wonder, then, that our popular Beach Bistro is bustling all year round with people seeking some of the best fish and chips on the coast. Ah, the unbeatable smell of tangy vinegar-drenched chips and chunky fish plunged in to fry quickly for an amazing, fresh flavour. 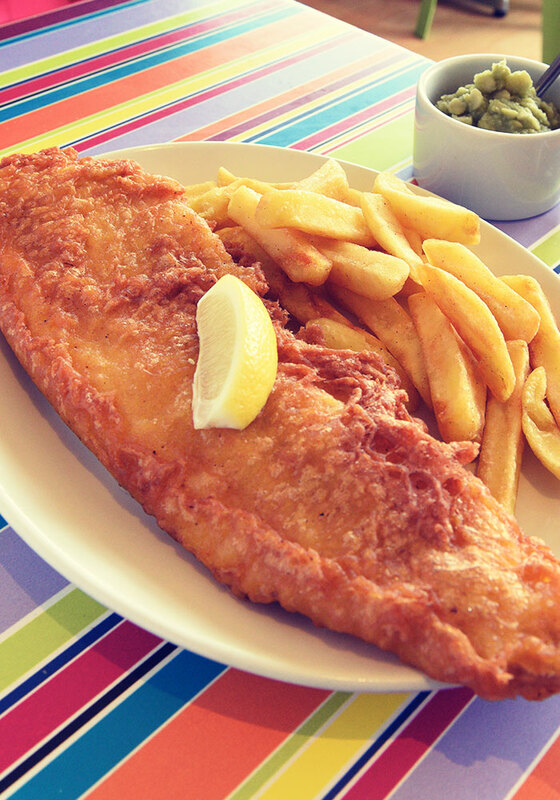 But there’s more to the Beach Bistro than just fish fried in our special Suffolk batter and served with crunchy, golden chips. Our superb family-friendly menu is available all day and has a range of meals, including healthy jacket potatoes and great burgers, and everything is freshly made. It’s a popular spot for breakfast. Every day we serve a selection of fried breakfasts (our eggs and sausages are all local and free range), breakfast baps, coastal toasters. There’s a children’s menu, of course, and vegetarian options. Later in the day it’s somewhere to get an ice-cold drink or ice-cream when the summer sun is shining, or a warming hot chocolate in the winter months. 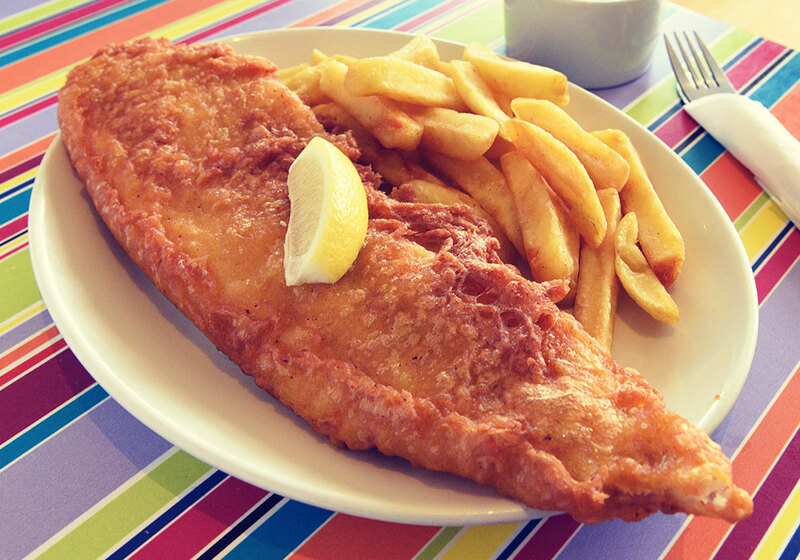 We sell gluten-free cakes every day, and also serve gluten-free fish and chips at all times. We have a huge variety of food and drink to choose from at the Beach Bistro, below is just a sample of what you’ll find on our menu. 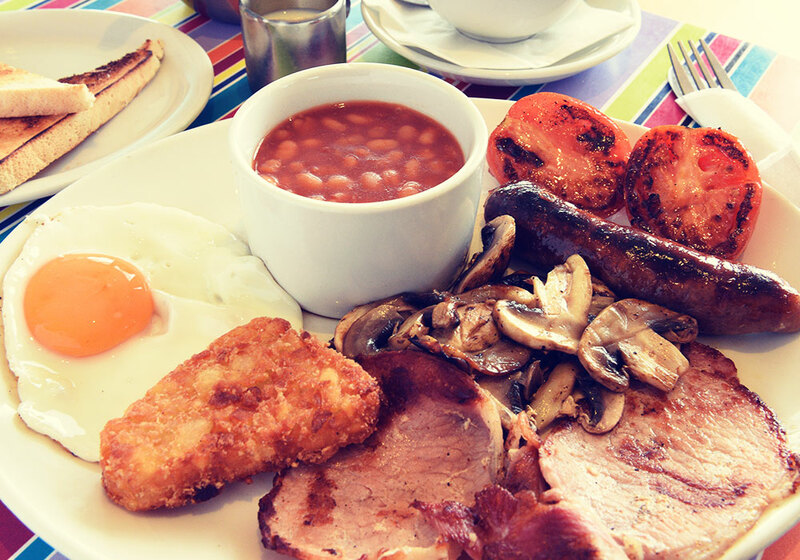 Served until 11am, all our breakfasts use locally sourced traditional free range pork sausages and local free range eggs. Get an even better start to the day with free tea and coffee at the Beach Bistro! 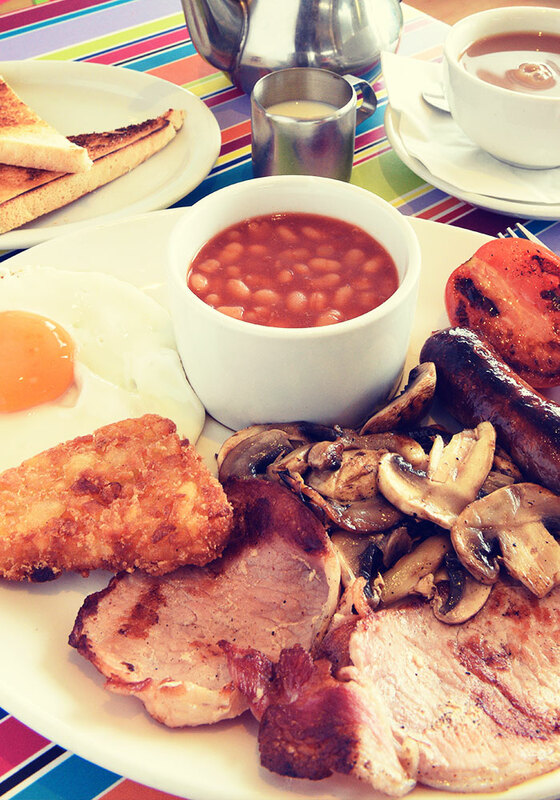 All you need to do is purchase a full breakfast to qualify, and the offer is available every day. 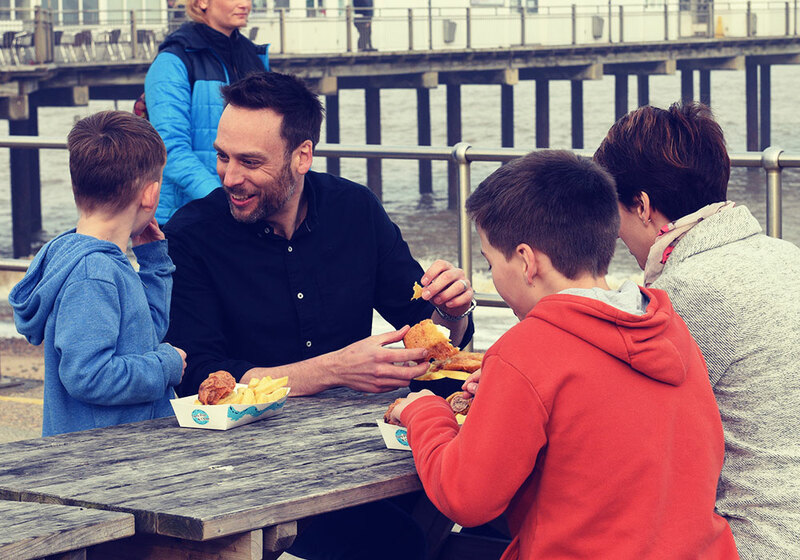 Bring the kids along to the Pier this February half term and for every adult paying breakfast you get a childs one free. Available from the 16th to the 24th February 2019.